Some women experience difficulty removing bits of wax after using a home bikini wax kit. Chunks of wax cling to the skin and attract fuzz, hair and other debris until the residue is removed. Removing left over home bikini wax is a tedious task by hand if a person does not know how to take care of the dilemma. Luckily, with a few inexpensive items, the hassle of removing residue from a home bikini wax kit is easy. Place an old towel on the floor to prevent stains. Pour a small amount of baby oil into a disposable cup. Take a cotton ball and dip it into the baby oil. Ensure that the cotton ball is thoroughly saturated and gently wring it out to prevent dripping. Gently rub the saturated cotton ball against all residue spots. Set aside the old cotton ball and use a fresh one dipped in baby oil after using the old one several times. 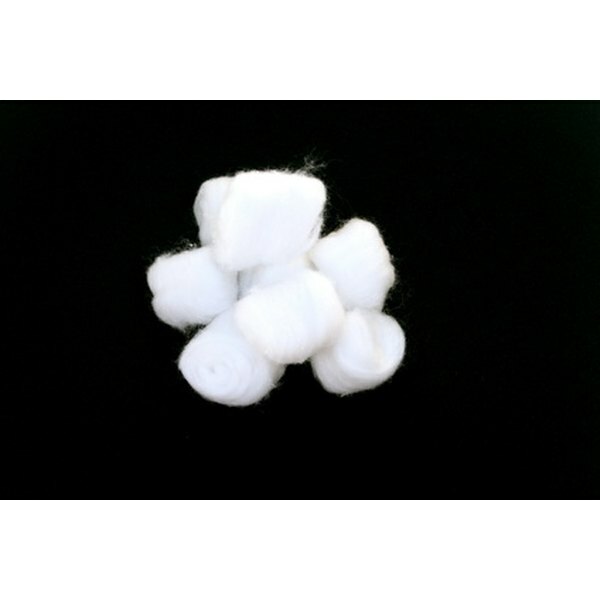 Continue using the dipped cotton balls until all wax is gone. Get into the bathtub and wash off the baby oil residue with a soap for sensitive skin. Smear on a lotion, gel or cream that contains aloe to help prevent irritation from the home waxing. Consider buying a bikini wax remover product that is found in beauty aisles of department stores or beauty store chains for future use. These types of products are specially formulated for use on delicate skin and remove all traces of wax residue. Hair wax removal products also help moisturize the skin to prevent irritation. If you do not have baby oil or a hair wax remover on hand, apply powder to the residue to stop the stickiness until you can get a wax-removal product. Read the instructions carefully when using a home bikini wax kit to prevent damage to your skin. Do a test patch on an area of hair to determine any irritation issues that you may experience before doing a full home bikini wax. Never use a home bikini wax kit near items that could be damaged. Wax drippings are difficult to remove from carpet. Place an old sheet or large towel over the area where you will do the wax.